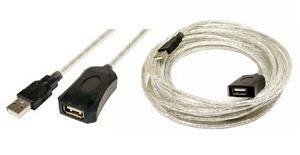 USB Active Extension cable boosts USB signal an additional 16 feet. These are M/F extension cables which feature a booster-box on the end, and when strung together, can achieve a new maximum of 75 feet. Easily extend your USB 2.0 cable past 5 Meters by daisy chaining our premium USB 2.0 active extensions. 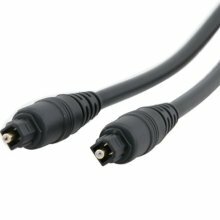 These USB 2.0 compliant cables support data transfer rates up to 480Mbps and are fully backward compatible with both low and high-speed USB v1.1 devices.